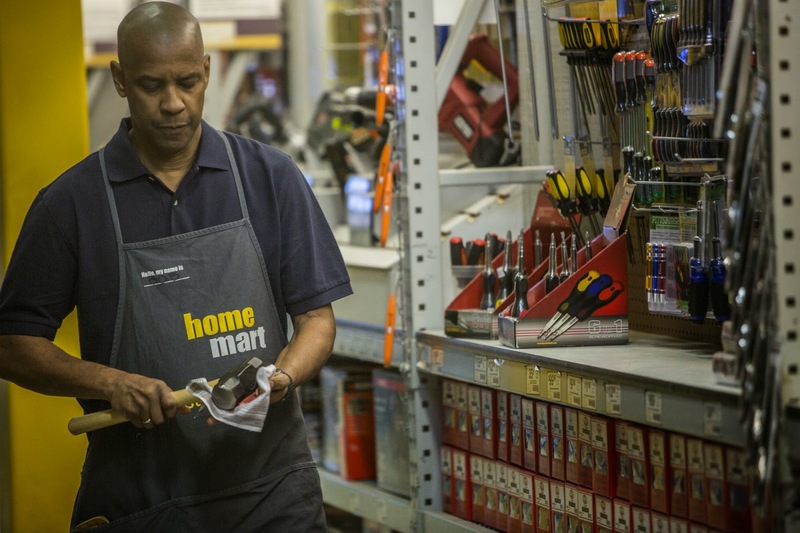 Right, The Equalizer. I first found out about this movie by catching a trailer playing before a movie I was about to watch. The trailer looked good and I thought it might be a fun movie to watch. I saw the poster for the film and it mentioned Antoine Fuqua and that he was also the director of Training Day which helped Denzel Washington win his first and only Oscar for a main role. My friend swears by that movie saying it's one of his all time favorite movies, myself I can't remember if I've even watched it. Maybe I'll watch it again someday. 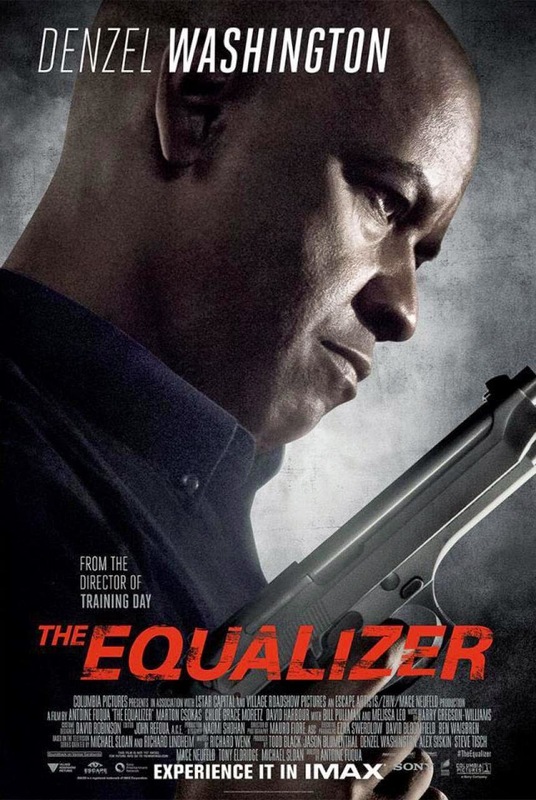 Anyway, something else sort of bugged me about this movie and it was the title, The Equalizer. Now up until just a few hours before watching this movie I didn't look up anything about it. All that I knew of the movie was from the trailer and the poster, that's it. But something about the title sort of bugged me. It made me think about this old TV series I used to watch when I was a kid. I couldn't for the life of me remember what it was but I kept thinking it sounded something like the title to this movie, The Equalizer. 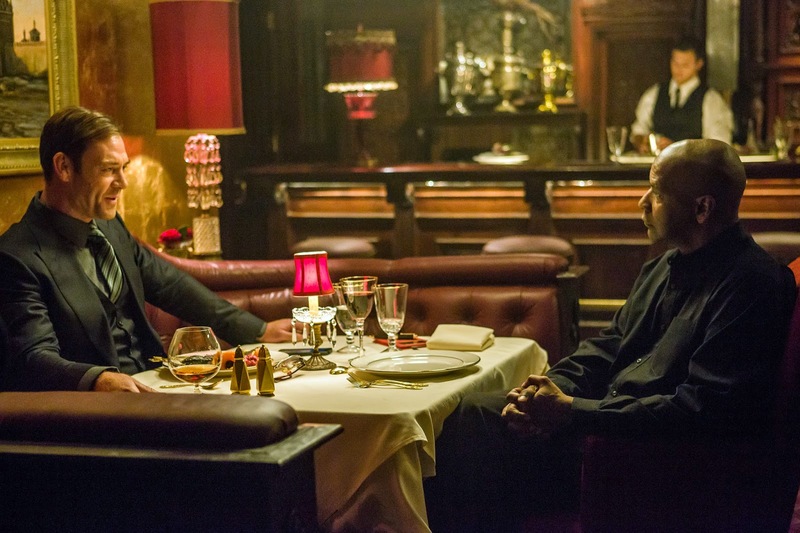 Then two days before watching this movie I was hanging out with my friend, the one who says Training Day is one of his all-time favorites, and we were talking about this new Antoine Fuqua movie, The Equalizer. And then he brings up the name of this old TV series that I was trying to recall the name of. Guess what? 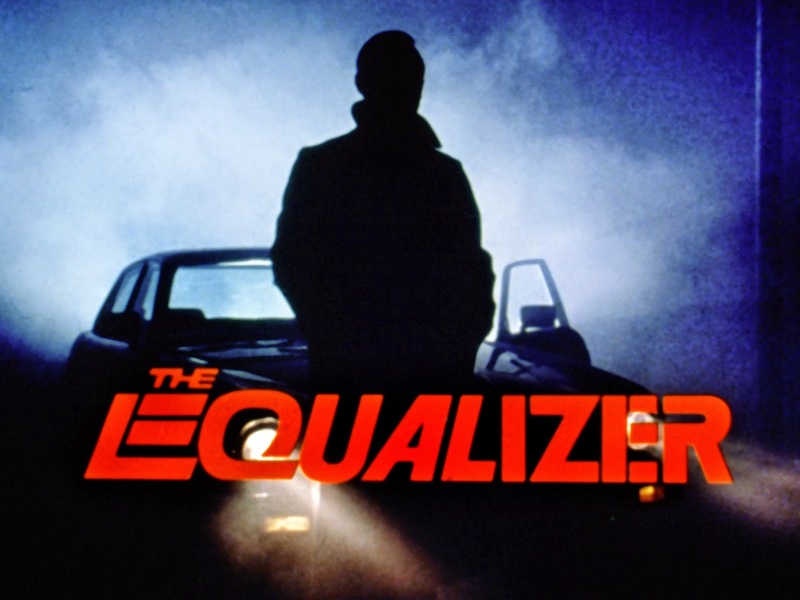 The name of this old TV show was the The Equalizer. The Equalizer is an American television series that ran for four seasons, initially on CBS from early fall 1985 to late spring of 1989. It stars Edward Woodward as a middle aged retired intelligence officer with a mysterious past who helps people in trouble. The show mixes ingredients from popular spy films, and private investigator shows with violent realism. Remember how I said my friend brought up the TV show while talking about Antoine Fuqua's new movie? Well, this old TV series was apparently the basis of Fuqua's and Denzel's new movie. I was really surprised when I found out about this little fact. Now for those of you who didn't grow up watching this TV show let me just try to sum it up for you. The show's main character is named Robert McCall, he is British and drives around in a very British Jaguar. He speaks very well and is very much of the 'stiff upper lip' class of the British gentleman. He also wears a trench coat and gloves when he goes out on his 'missions' and lives in a very nice neighbourhood. The style of the show was pretty cool, it was dark and serious and it was smart. This is of course my recollection of it. If I'm wrong you can't really blame me, I watched this TV show well over 20 years ago. Now how does this new movie compare to that old TV show based on it? Or at my recollection of it? Well, first off, Robert McCall is now an African-American man who has also 'retired' from a previous career. 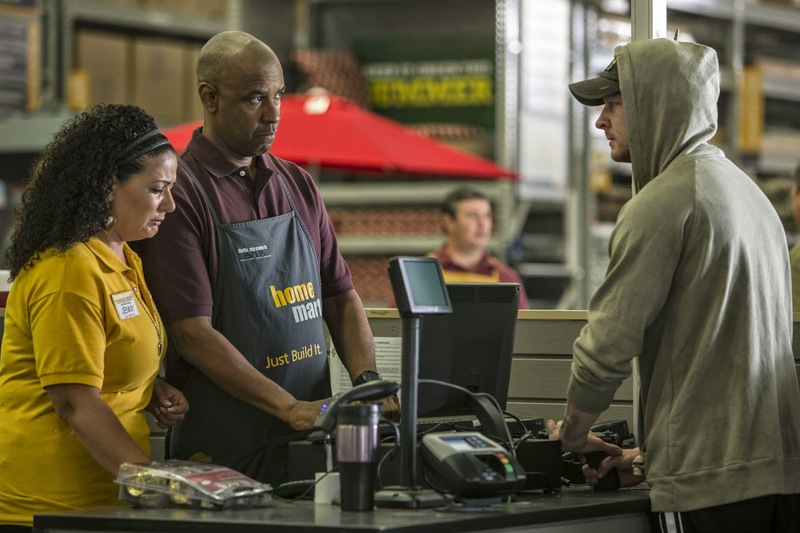 He now works at a DIY supermarket providing customers with lumber, tools and whatever else they need for their home projects. The British Robert McCall still has a chummy relationship with his old agency and former colleagues, calling on them from time to time to assist with his current missions. The American Robert McCall does not, he's trying to change his life and seems to be looking for a purpose for it. That's sort of the thing you get straight off the bat, you look at his character and you sense his feeling of loneliness and lost, that something in his life is empty. It shows on his face. The new Robert McCall also does not live in a nice neighbourhood, not that I'm saying it's a bad neighbourhood but it's definitely nothing like what the TV Robert McCall called home. He also doesn't drive a Jaguar but instead takes the bus. The former agent in the TV show has a well stocked weapons closet hidden behind the tool board on a false wall of his apartment's workshop/photography studio and if he needs something he can't find on his own he goes and asks his chums at the agency. The movie Robert McCall does not have a gun or a workshop/photography studio. 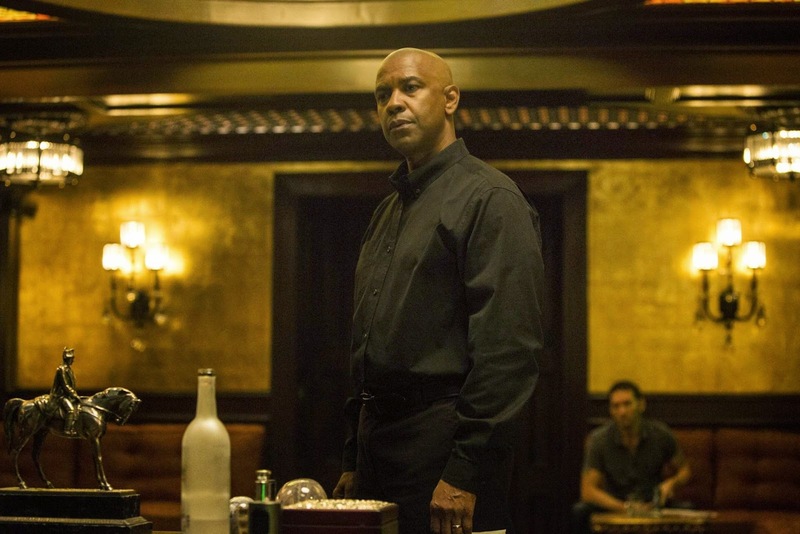 So even though this movie is 'based' on the TV series The Equalizer, the similarities are few and far between. There are similarities than just the name of the main character and the title of the movie but I'll get to that when we get to the meat of the review. So on to that bit. Now as mentioned above Robert McCall is someone who's trying to start over and at the same time looking for purpose. He spends his days at work doing what needs to be done and also hangs out with Ralphie. Ralphie is a colleague and he's a little overweight but with Robert's help he's trying to lose that weight so that he can take the security officer exam and pass it. So you could say that Ralphie is Robert's pet project, the first person who's life he is trying to change in order for his own life to find meaning. In the evenings Robert eats his dinner and then reads a little and then when he tires of staying home he walks down to the neighbourhood diner and sits there to read. Robert is a methodical man, he does things a specific way and the same way every time. He also times himself when doing certain tasks. I'm not too sure why but if I were to guess it probably has to do with discipline and focus. At the diner he does the exact same thing every night. He sits at a table with his back to the wall facing the main entrance and with as much visibility into the rest of the diner as possible. This I know from reading many books about spies and espionage is something agents do. It helps you keep track of what's going on and who's coming in and out. Agents do not like surprises. When he sits down he moves the fork and knife to his right and puts the remaining spoon and napkin parallel to him and puts his book on the far side of the spoon, then he takes out a napkin from his pocket and pulls out from the folds a teabag. Someone comes by to pour hot water into the cup in front of him and he puts in his teabag. Then he begins to read. He's a familiar sight in the diner and every now and again there's a girl who shows up as well. She's young, pretty and at a glance you know her life isn't all roses and champagne. Her name is Alina and for whatever reason she likes to talk to him. He doesn't mind of course because their conversations are mostly about her and about whatever book that he happens to be reading until one evening when he comes by with a leftover doughnut and gives it to her. He offers her a seat at his table and they talk about life and how hers isn't what she thought it would be. Of course he tells her that she can make her life to be whatever she wants it to be, that she can change her world. She listens politely and gives him a CD. She wants to be a singer and she wants him to hear her music. They leave together and walk a bit, as they reach a point where they go their separate ways a black car shows up with two guys. She gets slapped about a bit and the put into the car. Robert is given a business card, if he ever needs a female companion, they've got better ones than her the man says. The next couple of nights she doesn't show up at the diner. He starts feeling concerned for her. A few nights later, the diner's owner noticing that he's looking around for her and mentions that he heard that she's in the hospital. He goes of course and finds her beaten up pretty badly. He also finds out from someone who was visiting her that the man he saw that night was her pimp and that he's done this before to other girls to set an example. This puts him in a situation. What does he do? Does he help this girl? And how? A few nights later he shows up at the office of the pimp. He offers them money to set her free, but being the douchebags they are, they refuse and make fun of him. He turns to leave but at the door he makes another decision. A decision that he can't take back or change. Less than 30 seconds later everyone in that room is dead and what he's done sets a very nasty ball rolling. The people that he's killed are Russians but not just any Russians, Russian Mafia. The people he's killed manages the entire city and in fact in some ways manages and pays all the other organized crime outfits in the city. The news channels report it the next day and calls it a turf war. Not much later another Russian man arrives on a private plane from Russia, he's on a mission to find out who killed their local representatives and to send them a message. He sets about his investigations aided by three corrupt police detectives and his methods of persuasion are brutal enough to scare even those street-hardened corrupt cops. Meanwhile, Ralphie skips his security officer exam to help at his mom's restaurant after an 'accidental' fire breaks out one evening. Robert still looking to help make a positive change in Ralphie's life takes it upon himself to find out who did it and repay their deeds appropriately. It turns out that the arsonists are two more corrupt police officers running their own protection racket. He records them doing their collection runs and threatens to release it to the public if they don't return the money they took immediately. To make his offer more convincing he breaks a few bones. In the meantime, the Russian that's hunting him down Teddy, manages to locate Alina's friend that came to visit her at the hospital. Alina has since disappeared upon being released from the hospital. Teddy finds out from her about Robert whom she met at the hospital and who was asking her about what had happened to Alina. Being the ruthless man that he is, he kills her once she's told him everything she knows. The information leads him right to Robert's doorstep. This of course is bad news. Not much later, on one of his night at the diner, Robert spots something amiss with a customer that's just walked in. It's a set-up. He sorts out the situation and makes his way out and towards the car that Teddy is in, walking towards it he takes pictures. Teddy and his three corrupt detective friends give chase but Robert manages to evade them. They continue the chase back to Robert's home where they find an empty home. Robert you see has two homes. Meanwhile Robert through a series of hidden cameras observe them going through his 'house'. Things are getting serious and Robert needs help. He calls upon some old friends. Old colleagues actually. And this is where you find out who Robert really is. Robert is a former agent for the CIA. A special sort of agent who deals in missions and operations that will never be made public. Missions that he's not proud of and one that he had to fake his own death in order to retire on his own terms. He goes to them in order to find out about Teddy. The information he gets from his friends force him to make a pretty big decision. He knows now that Teddy and the Russian mafia will not just leave him alone if he disappears and even if he does disappears then all that will do is turn their attention to everyone he knows.And he can't have that. So from this point on it is full on action and violence as the two main characters hunt each other down and there's little point in my describing it to you. It's better you go out there and watch it for yourself. 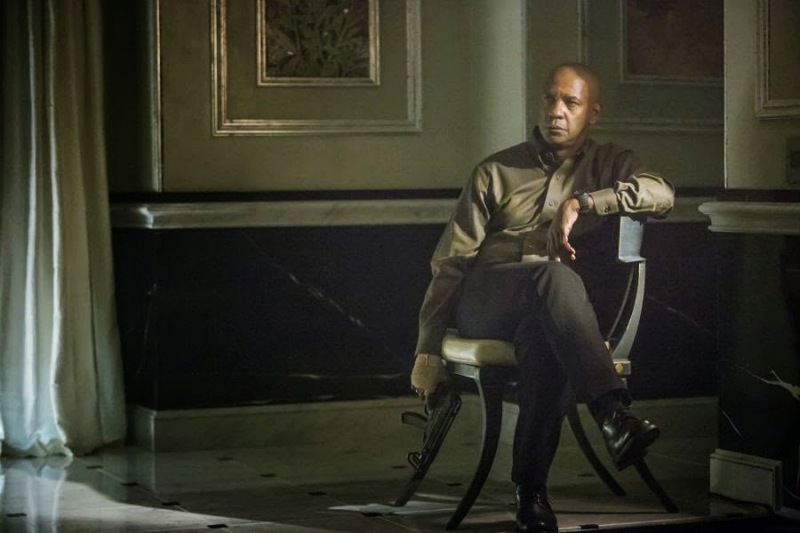 My overall opinion on this new take of The Equalizer. First of all lets talk about the cast and the characters they play. Denzel Washington plays the role of this new Robert McCall really well. From the get go you can tell that he's a man who feels empty inside, that he's looking for something. His well-ordered and time-disciplined world juxtaposed with his almost empty and organized home just makes that emptiness palpable. Even his routine of going to the diner each night seems like an attempt at reaching out to another human being when he tires of being by himself at home. And even though he seems too old to be doing all the fighting and vicious things that he does in this movie, you don't really notice it. What you do notice is that no matter what he does, the shirt that he wears manages to stay relatively clean and crease free for the most part. Chloë Grace Moretz plays her role as the cause, the catalyst of all that happens to Robert in the movie also does her part very well. For the most part. I'm not too sure if she's supposed to be Russian or not. She slips in and out of her 'Russian' accent so much it's hard to tell. Maybe it's to show that she's been in America too long. 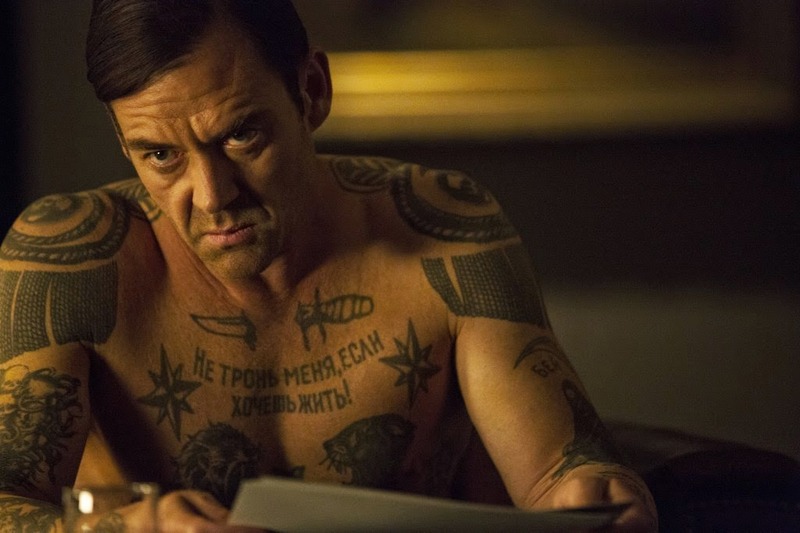 Marton Csokas, who plays Teddy plays his part as a smart, ruthless and vicious man beautifully. For a man born in New Zealand he plays his role so well you really start to believe he could be Russian. He's cold and calculative throughout the movie. During the pinnacle scene where he sits across from Robert as they size each other up before the final showdown the look on his face and in his eyes were as cold as steel. In fact the both of them in that scene were brilliant in my opinion. The other cast of characters do their work just as well to move the story along. They are integral to the movie but the focus here is between Robert and Teddy. Visually the movie is beautiful. 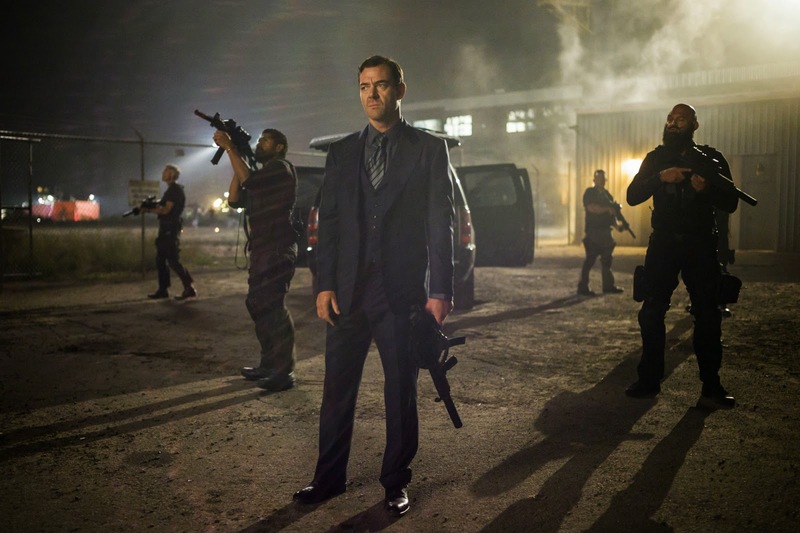 It's got all the Antoine Fuqua trademark shots in my opinion. The shots are very stylized and it works. The editing and pacing are perfect. The movie has little by way of dialogue but you don't notice it. The pace is deliberate but never ponderous or boring. The music does its job to carry each shot and each scene to the next beautifully. Never abrupt or interrupting. If anything this movie to me has one possible flaw. And that's of being almost a little too over the top. Sometimes the scene goes a little too far, I know the hero has too look good and cool but let's not make him look like a superhero. The other thing that struck me was the violence. I don't mean the violence committed by the bad guys. In fact when you really notice it Teddy's violence and ruthlessness is in the way he carries himself, not in the actual actions that he takes or the physical violence that he commits on anyone. The most violent thing that he does isn't even done on screen but is instead delivered in a news report after the event. The violence here in this movie is done by the man we are to believe is our hero, Robert McCall. What he does to achieve his goals is worse than what Nicolai does throughout the movie and he does it more times than Teddy does. Of course you assume that Teddy does whatever it takes to get what he wants but you never see it, instead you see Robert beat corrupt detectives, tries to kill another one in his own car, stab Russians with corkscrews and shot glasses. The good guy in this movie spills more blood than the bad guys. Does his violence justify his goals? Or is it a case of playing the game according to the rules set by the bad guys? Anyway, all that is unimportant to the movie. Or maybe it is. You decide. Overall I found the movie thoroughly entertaining. Maybe a little over the top and exaggerated at times but it doesn't really hurt the overall experience of it. If you're looking for a better than decent, maybe even good action movie this weekend then this is the one I'd suggest you pay for. It's got a decent story, excellent acting and it's beautifully shot. I give this movie a decent 4 out of 5. And oh yeah, you know he's going to kill Teddy but he doesn't stop there... And another thing, at the very end as he sits on his favorite seat in his favorite diner he does another thing that links back to the original TV series. THANK YOU NUFFNANG, CHURPCHURP and SONY PICTURES MALAYSIA for the invites to watch THE EQUALIZER!! And also THANK YOU for the SWEEEET THE EQUALIZER POLO T-SHIRT!! And thank you TGV Cinemas @ One Utama for hosting all us noisy bloggers!